An extra-strength cleaner formulated to remove hard water deposits from metal and plastic surfaces. It works quickly, leaving surfaces bright and free of buildup. 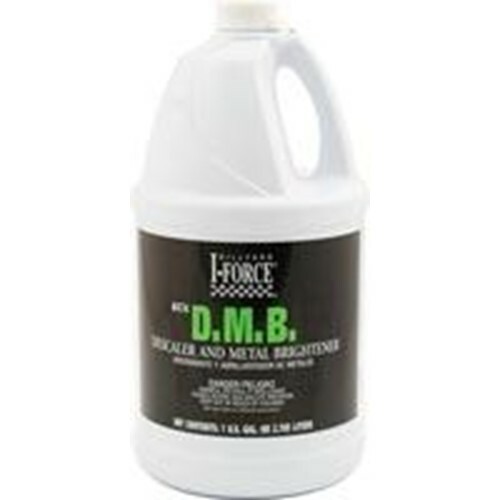 D. M. B. phosphoric acid formulation is effective for removing hard water deposits such as lime, calcium, magnesium, iron, and aluminum, from metal and plastic surfaces. It works on all hard surfaces, but should not be used on marble, terrazzo, resilient flooring, or galvanized surfaces.